The RMM diagram outlines in more detail the steps involved in converting the 24 hour demand into time, mode and destination specific matrices for assignment. In addition to the typical trip making behaviours of time, destination and mode choice the model includes a detailed representation of the impact of destination parking availability and cost on these choices as well as the impact of tours in understand the true costs experienced in decision making. The National Trip End Model (NTEM) element of the National Demand Forecasting Model (NDFM) produces trip ends for each Census Small Area (CSA) level and for each 24 hour period. These are input into the Full Demand Model (FDM). The Trip End Integration stage then takes these inputs and converts them into 24 hour trip ends and into the appropriate zone system and time period disaggregation for use in the FDM. 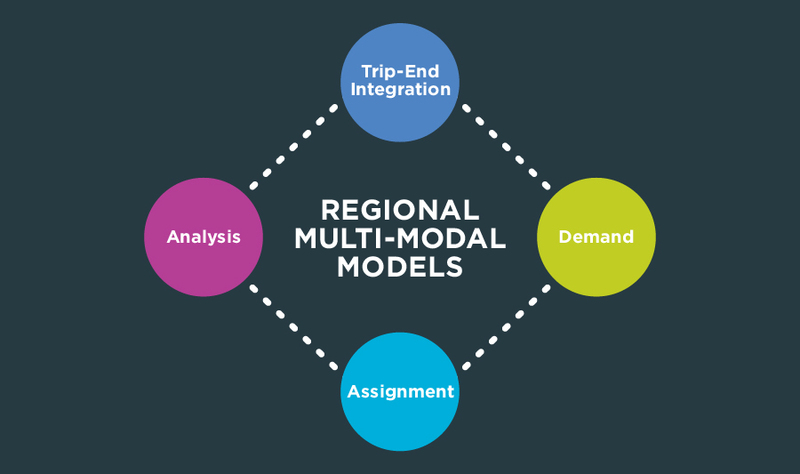 The Demand Model is integral to the five regional models. 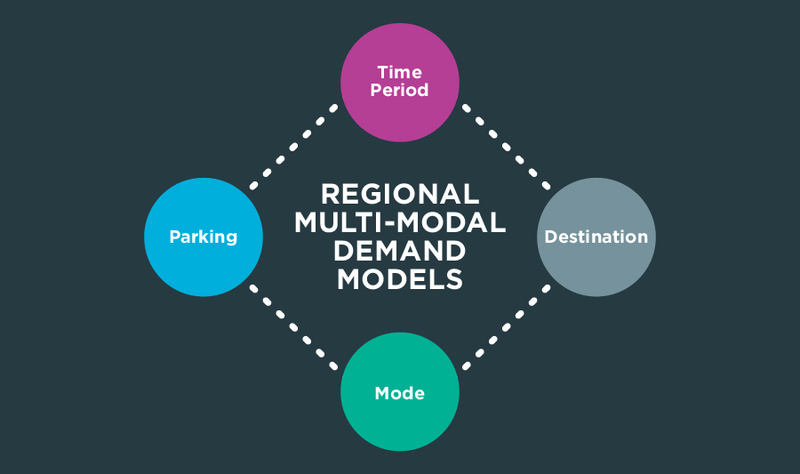 The demand model processes all-day travel demand from the National Demand Forecasting Model (NDFM) and outputs origin-destination travel matrices by mode and time period. The Road, PT and Active Mode Assignment Models then assign these travel matrices to determine the route-choice of trips in their respective transport networks. The purpose of the FDM is to take input trip ends (at the 24-hour level) and costs (from the road, PT and active modes assignment models) and then to allocate trips to different time periods, modes and destinations for input to the peak-hour road, PT and active modes assignment models. The FDM processes travel demand and outputs origin-destination travel matrices by mode and time period to the assignment models. The FDM and assignment models run iteratively until an equilibrium between travel demand and the cost of travel is achieved. 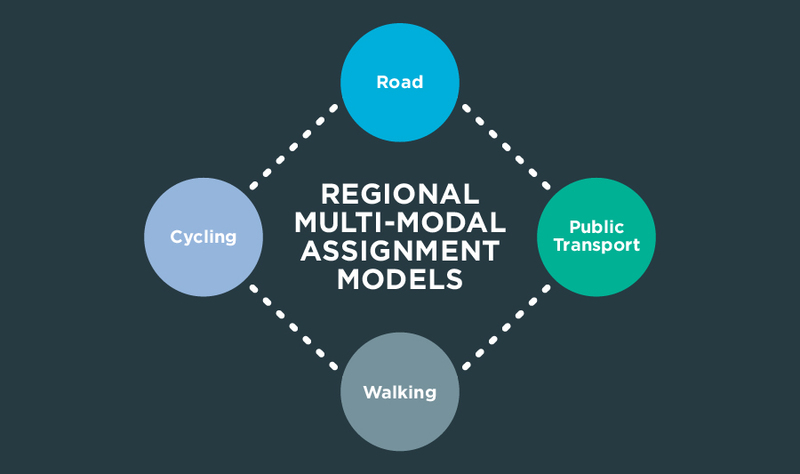 The Road, Public Transport, and Active Modes assignment modules receive the trip matrices produced by the FDM and assign them in their respective transport networks to determine route choice and the generalised cost for origin and destination pair. The Road Model assigns FDM outputs (passenger cars) to the road network and includes capacity constraint, traffic signal delay and the impact of congestion. See the RMS Specification Report 2 Road Model for further information. The Public Transport and Active Modes Models assign FDM outputs (person trips) to the PT, walk and cycle networks. The PT Model also considers the impact of capacity restraint, such as crowding on PT vehicles, on people’s perceived cost of travel. See the RMS Specification Report 3 Public Transport Model and RMS Specification Report 4 Active Modes Model for further information. The Secondary Analysis Module (SAM) contains a suite of applications and tools that can be used to extract and summarise model results from any one of the five regional models within the RMS. The SAM allows users of the RMS to extract key performance indicators from any of the core Demand Model components such as the Choice Model, Public Transport, Road and Active Mode assignment models. Results can be summarised by model zone, time period, demand purpose segment and aggregated to any user defined geographical level as defined by the RMS user. 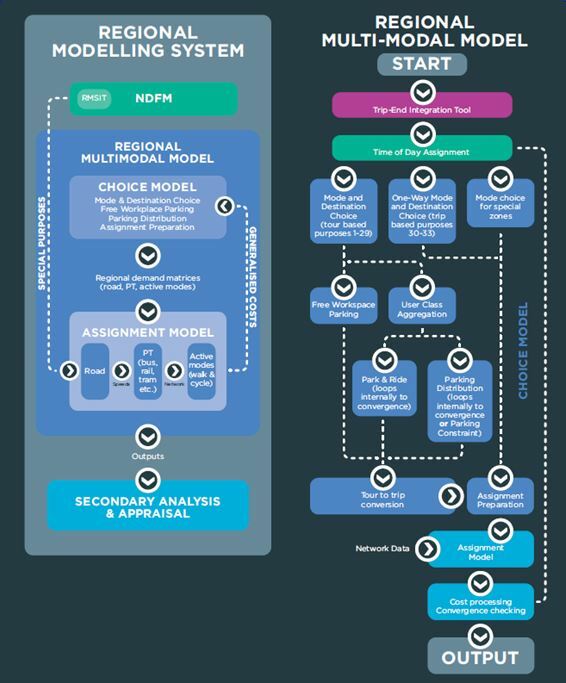 The SAM provides the RMS user with a range of consistent model outputs that can be used to inform scheme planning and appraisal requirements.